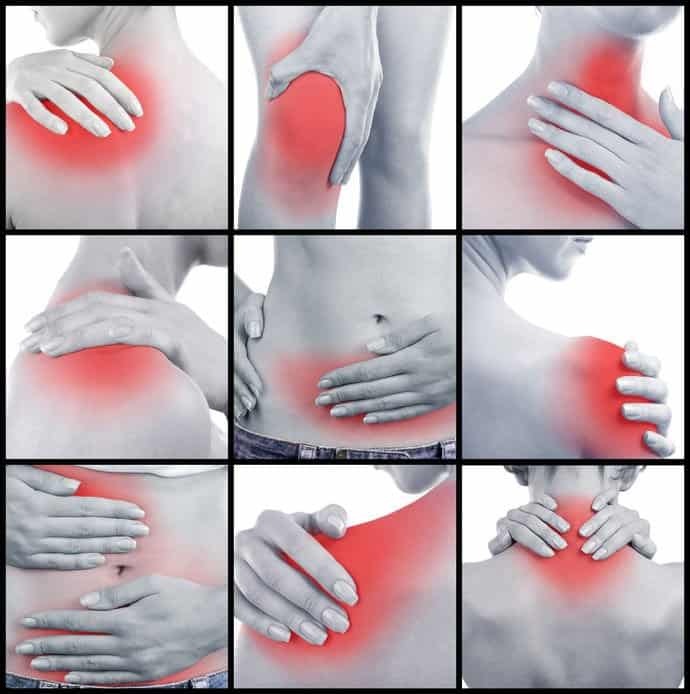 One condition that affects millions of people worldwide is muscle pain and inflammation. Whether from overwork or under use, many of us have had to deal with it at one point or another! It does not matter whether you are an athlete, a gym junkie, simply like to go for walks or your work requires you to lift weights, chances are you have experienced sore muscles and body aches, stiffness, muscle pain and spasms. These symptoms are all too often ignored and we simply hope that the pain goes away over time. Unfortunately, hoping for the best won’t cut it as it won’t address the root cause of the issue. Over the counter creams work to some extent, however they are not a long term option. And, given they contain lots of chemicals, they are potentially unsafe to your health and well-being. The other issue with OTC medication is that you could easily become dependent on them. Why Do You Even Get Muscle Pain? Every inch of you, on the inside and the outside, is full of pain receptors; your muscles are no exception. And, you need these pain receptors because they perform two vital functions. First, they tell you that trouble is brewing somewhere and second, they get your body to start healing the boo-boo. These pain receptors respond to mechanical stimuli that comes from the outside; think bruises and tissue tears as well as the chemical stimuli that is internally generated; think inflammatory enzymes. Muscle pain is primarily caused by an organic substance called adenosine 5-triphosphate or ATP and hyper acidity in the muscle tissue. The rip and tear of muscle tissue due to trauma/injury. The wear and tear of muscle tissue due to mechanical overloading (workouts). Ailments that lead to chronic paucity of blood supply to the muscle tissue in certain areas of the body. ATP further stimulates the release of cyclooxygenase enzymes (COX-1 and COX-2) that are needed for the synthesis of inflammatory peptides like prostaglandin and bradykinin. These cause more inflammation and swelling and an increase in the activity of those pain sensors. Painkillers work by inhibiting the cyclooxygenase enzymes. Known as purinergic receptors, these pain sensors are linked to both the central (ATP receptors) and the peripheral (low pH) nervous systems. Once the chemical stimuli excite the sensory neurons, the mechanism works much like a bunch of dominoes. Like a chain reaction, the neurons keep getting excited one after the other till the impulse reaches the brain, and you feel the pain. But when the neurons get excited all too often, the receptors further up in the chain (read the spine and the brain stem) become supersensitive in anticipation of the frequent stimulation, and this leads to chronic muscle pain. Does Stretching Help At All? 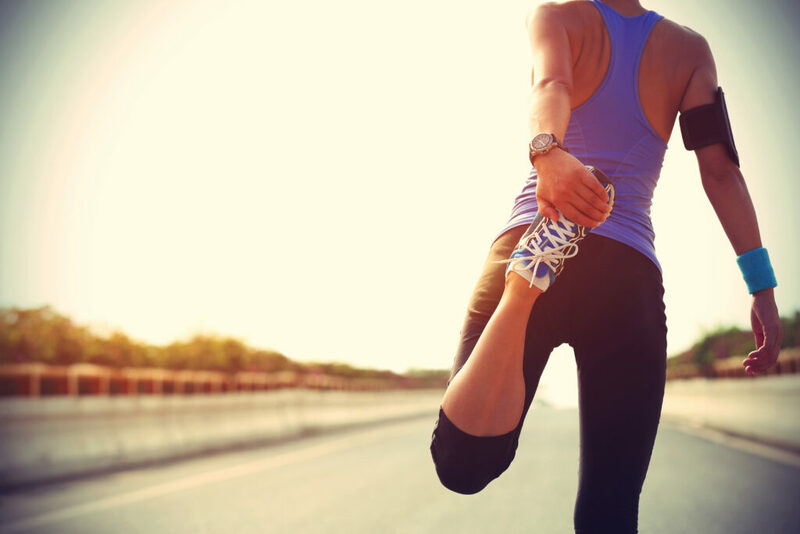 According to a Cochrane Collaboration Study (CCS), which is quite simply a compilation of all studies conducted on the subject, stretching before or after a workout makes negligible difference to muscle soreness. But, muscle pain is not always caused by overwork. Underworking your body can cause just as much discomfort. In case you don’t know what I am talking about here, think spending long hours cooped up in front of your computer or couch surfing through a marathon of your favorite show. Keep your muscles in one position for a long time and circulation is bound to get affected. Low blood supply means an increase in acidity/low pH level in the muscle tissue. And that is what causes the nasty back pain, stiffness in the shoulders and the sore calves if you spend the day slogging at the desk. 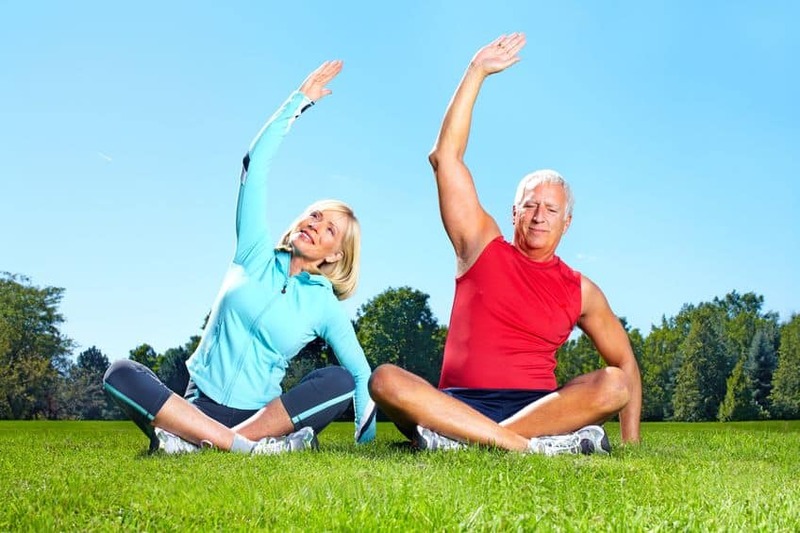 Stretching surely helps when under-activity is the cause of your muscle pain. In fact, it is the simplest, fastest and most effective way to get the blood moving as it should and neutralize the damaging effects of sitting for hours and a sedentary lifestyle. Stop the chemicals that trigger the pain receptors: Many essential oils are just as effective at inhibiting COX enzymes as OTC painkillers. But these natural substances exert their effects locally, so you get relief from pain without the detrimental side effects of NSAIDS. Dull the pain impulse: Bioactives like linalyl acetate and linalool and effective suppressants of the central nervous system (CNS) and some even affect the peripheral nervous system (PNS). Since pain impulses travel to the CNS and the PNS and from there to the brain, suppressing them, automatically dulls the intensity of the pain felt by a person. Stop the inflammation: Most essential oils boast of several esters and oxides, which are potent anti-inflammatory agents. The biochemicals in these extracts have a direct impact on prostaglandins, which are the body’s internal inflammatory mediators. Prevent progression to chronic pain: Because these oils prevent the transmission of the pain impulse further up the spinal cord and to the brain, they prevent the impact of over stimulation on the nerves in the spine, thus lowering the risk of chronic pain. Increase circulation: Essential oils also function as powerful circulatory stimulants. Improved blood supply to the muscle tissue automatically eliminates the risk of low pH and the pain that results from it. Speed the removal of metabolic waste: Because essential oils helps to stimulate the lymphatic and circulatory systems, topical application of these extracts also helps in the rapid purging of lactic acid and other metabolic toxins from the muscle tissue. Increase the rate of healing: Greater supply of blood to the muscle tissue also equates to enhanced availability of both oxygen and nutrients. Because essential oils control inflammation while giving the muscles all the food and energy they need to regenerate, the net effect is faster healing. Stop the emotional impact of pain: Whether it has a sudden onset or is a chronic problem, pain impacts the mind just as much as the body. Fortunately, essential oils help on this front as well since they help to control stress, depression and anxiety which often accompany pain. Prevent comorbidities: If you are in pain, you can’t sleep well and even one night of sleep loss can cause significant damage to the neurons. So, imagine what chronic pain and several sleepless nights will do to your noggin? Now, add stress to this equation and you know your brain is in trouble. The best part of using essential oils is that they can calm and relax you without numbing parts of your brain like sedatives do. So, you get your zzz’s while your noggin stays in top shape. If you are not ready to concoct your own essential oil blend for muscle and joint pain, you could always give L’orpur a go. It contains a blend of 8 essential and 2 carrier oils in a proprietary mix and you can use it straight from the bottle. Read more about its pain relieving properties here. 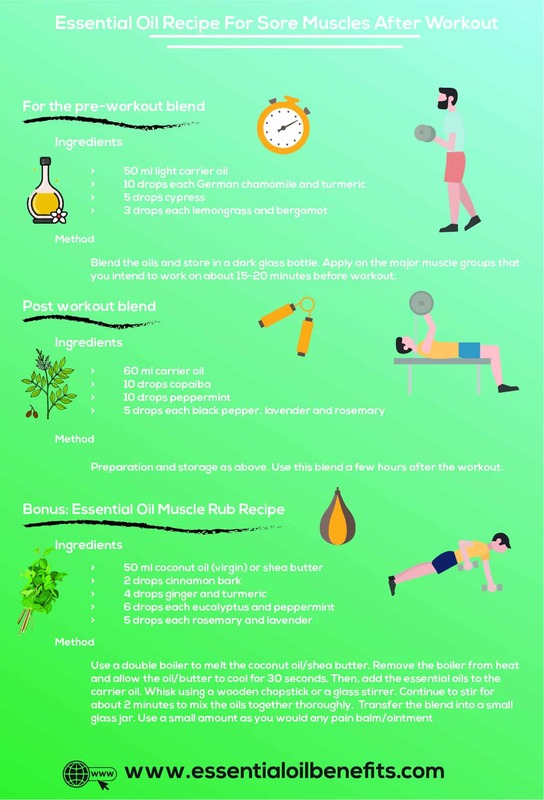 How To Use Essential Oils For Muscle Pain? 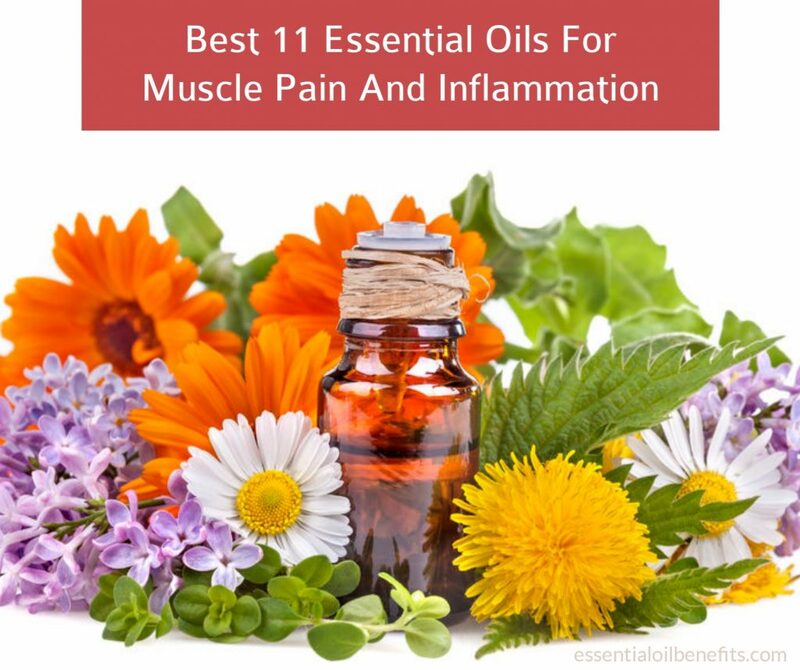 Apart from the multiple therapeutic benefits they offer, another advantage of essential oils is that they can be used in a myriad of ways to deal with muscle pain. Here are a few treatment modalities in which these extracts can be put to use against muscle fatigue, soreness, stiffness and pain. Spot application of oils that create the sensation of heat and cold provide quick relief from pain by exhausting the cellular store of the pain transmitting chemicals. You can add to the cooling effect of ice or a cold compress with cooling essential oils. Even the slight drop in temperature goes a long way in controlling and treating inflammation. Similarly, the warming effect of a heating pad or good ol’ hot water can provide faster healing when coupled with heating and anti-inflammatory oils. For widespread muscle soreness, nothing works better than a long soak in a hot bath. But, why stop at that when you can use essential oils to quickly purge lactic acid and other metabolic wastes from the muscle tissue? A kinesiology tape helps to hold the soft tissue in place, giving it some much needed time out. But you can get more from immobilizing the injured muscle, if you add pain relieving and healing essential oils to the mix. Get more from the mixture of soothing and healing herbs by adding essential oils to the preparation. In fact, essential oils are the most convenient way to ensure that the goodness of the herbs gets through the skin and to the muscles, where it can make a difference. Whatever your favorite massage technique, the addition of an essential oil blend will help you to rub out the soreness and the fatigue from tired muscles. Inhaling the right mix of essential oils will not only help to relieve stress and anxiety but will also lower your sensitivity to pain. Rubbing those stiff and well worked muscles with a pre-shower essential oil blend can get you as many therapeutic benefits from a 15 minute shower as you would get from a leisurely 30 minute soak in the bath tub. Have you tried the shower diffuser yet? This one is a veritable classic all thanks to its content of methyl salicylate, which is aspirin in its natural form. While methyl salicylate controls the inflammation of the muscle tissue, the counter-irritant aspect of the oil has a direct impact on the transmission of the pain impulse to the nervous system. The warming effect of the wintergreen oil helps to boost blood circulation to the treated area and aids in the quick removal of lactic acid, which explains its inclusion in many pain-relieving sprays, including L’orpur and post workout muscle rubs. 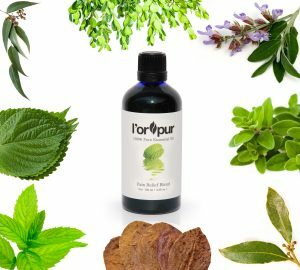 Aromatically, the minty fragrance of the extract has an invigorating quality about it, which also helps to deal with the fatigue and lethargy brought on by muscle pain. In terms of its sensory effect, eucalyptus oil is the exact opposite of wintergreen. While wintergreen offers warmth, eucalyptus cools and this property can come in handy when you are dealing with muscle swelling and inflammation. 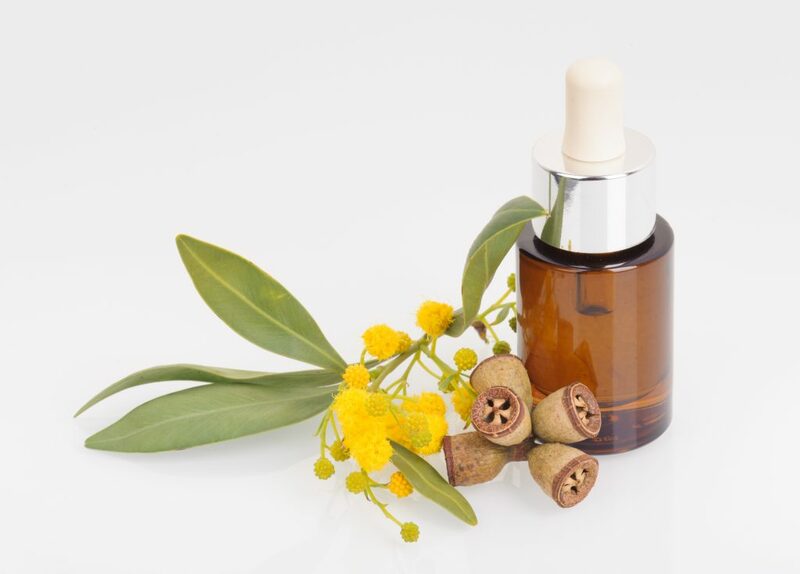 A rich source of 1,8 cineole, which is a powerful anti-inflammatory and analgesic agent, the pain relieving properties of eucalyptus oil not only present themselves when the oil is used topically but also when it is inhaled. Add to this the refreshing quality of the aroma, and you have an extract that deals with the discomfort of muscle fatigue and with the mental distraction it causes. Another classic choice for muscular pain relief, sweet marjoram oil owes its place in this list to its gentle warming effect and superlative anti-inflammatory properties. 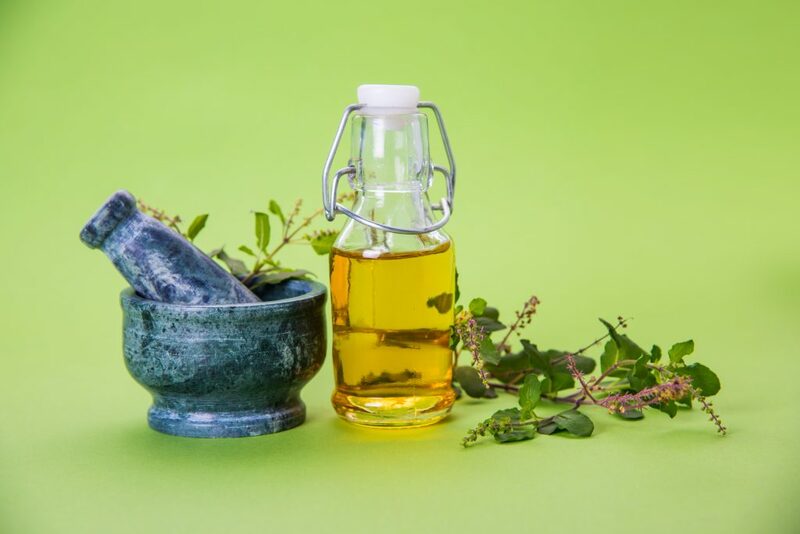 A powerful stimulant of the lymphatic and circulatory systems, sweet marjoram oil is exceptionally effective against muscle fatigue and soreness brought on by inactivity. Plus, this oil is also a powerful muscle relaxant that works as an antispasmodic agent and helps to both prevent and treat muscle contractions. Due to its main constituents methyl eugenol and methyl chavicol, sweet basil essential oil not only helps to limit inflammation but also reins in the free radicals generated by muscle fatigue and wear. When applied, the oil offers a soothing warmth that quickly translates into relief from muscular tension. An added bonus is the ability of this oil to deal with chronic fatigue, which often accompanies persistent pain. The cooling effect of this oil and its characteristic minty aroma are legendary, to say the least. A counter-irritant that has few parallels among natural and man-made substances, the intense cooling of the 1,8 cineole in this oil is enough to do away with both muscle pain and inflammation. In fact, the topical application of this oil gives the same remarkable and quick relief that you can get from a cold compress. Additionally, the phytocompounds in the extract also help to relieve muscle spasms and improve blood circulation to the treated parts. 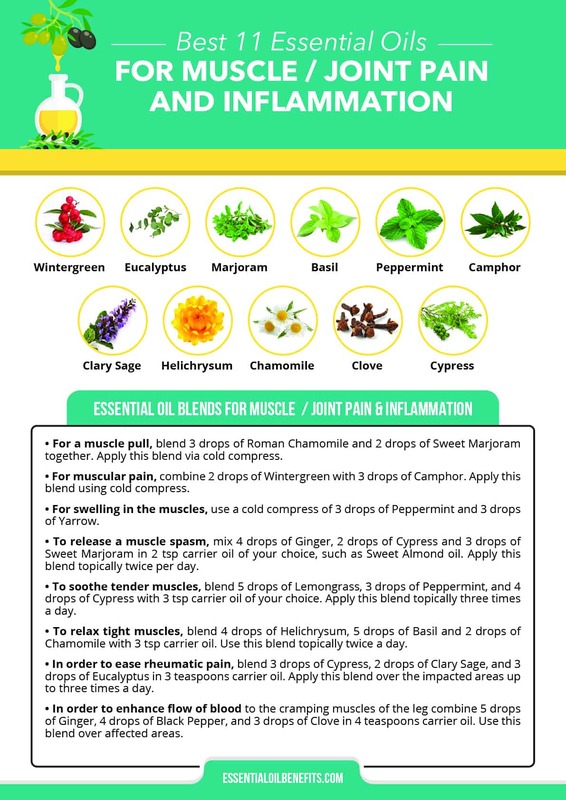 So, regardless of the cause of your muscle pain, this is one oil that will work every time and all the time. In combination with wintergreen oil, the combo is known to be a potent agent against lower back pain problems. Don’t worry too much about the bad rep this oil has earned; you have nothing to worry about as long as you only use white camphor oil (not any other fraction) and don’t chug it down. That said, this oil can offer phenomenal pain relieving, analgesic and anti-inflammatory properties when it is used topically after the right dilution. A rich source of several anti-inflammatory phytochemicals, including 1,8 cineole, camphene, beta pinene and p-cymene, this oil also brings anti-oxidant and neuro-protective benefits to the equation. Plus, it is a notable topical anesthetic that can provide almost immediate relief even from painful muscle cramps. 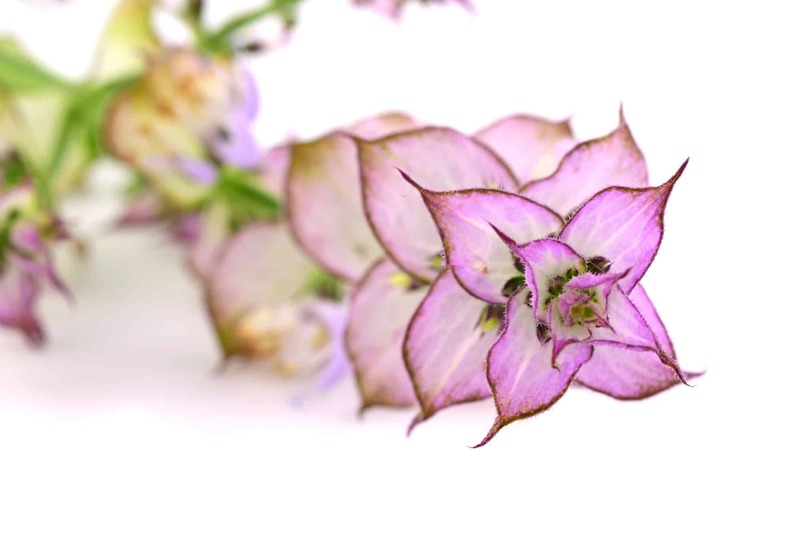 As far as anti-inflammatory compounds go, this oil has the who’s who of the plant world. I am talking about everything from linalyl acetate and linalool to beta caryophyllene. Together, these active compounds not only control the pain and the inflammation but also protect the muscle tissue from oxidative stress. Moreover, the soothing oil also acts as a gentle sedative that stops muscle soreness from impacting your sleep. So, this is definitely a “must-have” when it comes to chronic muscle pain. This oil exerts its pain relieving effect through its ability to control inflammation. 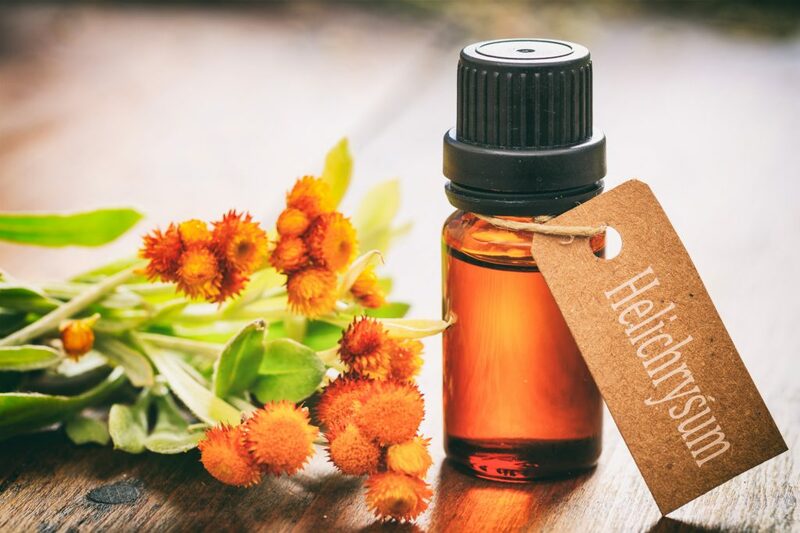 Possibly the most powerful and effective anti-inflammatory agent in nature, helichrysum oil acts on the immune response that is triggered by a muscle injury. Because it has a direct bearing on the synthesis of prostaglandins and other pro-inflammatory mediators, it helps not just to lower the intensity of pain but also to bring about faster healing of the muscle tissue. In fact, its regenerative properties make it a worthy addition to blends meant to help with muscle injuries and mechanical stress related muscle tear. If you thought the abilities of this oil to calm a turbulent mind were fantastic, wait till you try it out on inflamed muscles. Chamazulene, the substance that gives this oil its blue color, has long been a sought-after anti-inflammatory agent. 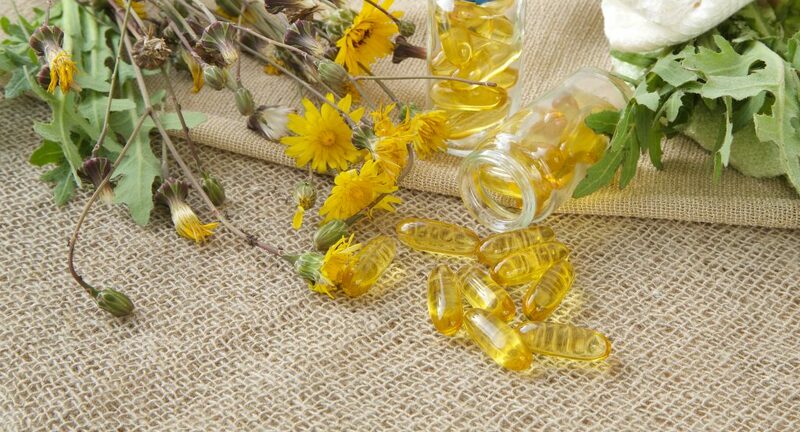 Moreover, the alpha bisabolol in the oil is a powerful muscle relaxant that works on both smooth and skeletal muscles. So, German chamomile oil not only offers relief from muscle pain but also helps to tackle hypertension caused by the pain and the stress. Plus, it acts as a vasodilator, which helps to bring increased blood supply to the sore muscles. The anesthetic effect of this oil can go right down to the nerves. So, rest assured that when applied after proper dilution, this extract will help to relieve even the most painful muscle cramps and spasms. The intense warmth of the oil quickly deals with circulatory blocks that prevent proper blood supply to the muscle tissue. Plus, eugenol, which is the most abundant phytochemical in the oil, is a known anti-inflammatory agent that helps to stop leukocytes (cells that trigger inflammatory response and swelling) from migrating to the damaged muscles. Moreover, eugenol also helps to increase the generation of IL-10, which is the body’s internal anti-inflammatory agent. Is it any wonder then that clove oil is not just used for muscular discomfort but also all types of nerve pain and tooth pain? This extract is particularly effective against muscle tension and contractions that cause chronic pain and eventually lead to neurological issues. Cypress essential oil not only helps to improve circulation but also facilitates the faster removal of fluids from the treated area. So, it is one of the most effective natural substances for dealing with muscle swelling due to injury. Furthermore, alpha-pinene, which is the main constituent and active ingredient of the oil, helps to lower peripheral nerve excitability. This property lowers sensitivity to pain, which means that the muscle soreness won’t register as intensely as it always does once you put this oil to use. When you have a skin cut or laceration, the pain is understandable because you have a boo-boo to back it up. Ditto for bone and joint related discomfort; all it takes is an imaging test to understand exactly what’s wrong and where. But, muscle pain is a whole different beast! Let alone muscular anomalies like cramps and spasm, we are still not clear on what qualifies as normal muscle tone. So, before we start talking about how to treat muscle spasms, let me tell you what we know about them so far. For starters, muscle spasms and cramps are two different things, although both involve involuntary and sudden contraction of the muscles. While cramps are linked to the hyper excitation and misfiring of neurons, spasms have no electrophysiological component. In simple words, it’s just a random muscle contraction; nobody knows for sure why the muscle tissue goes loco. 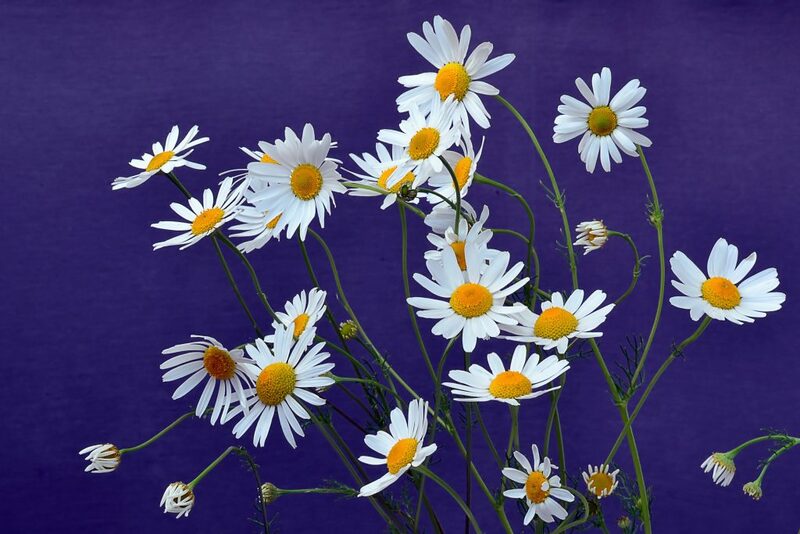 German chamomile, which contains the active ingredients bisabolol that helps to ease muscle contractions and chamazulene that curbs inflammation. Peppermint, which contains menthol that works as an analgesic and antispasmodic agent. Dill, which contains carvone, a powerful antispasmodic bioactive. 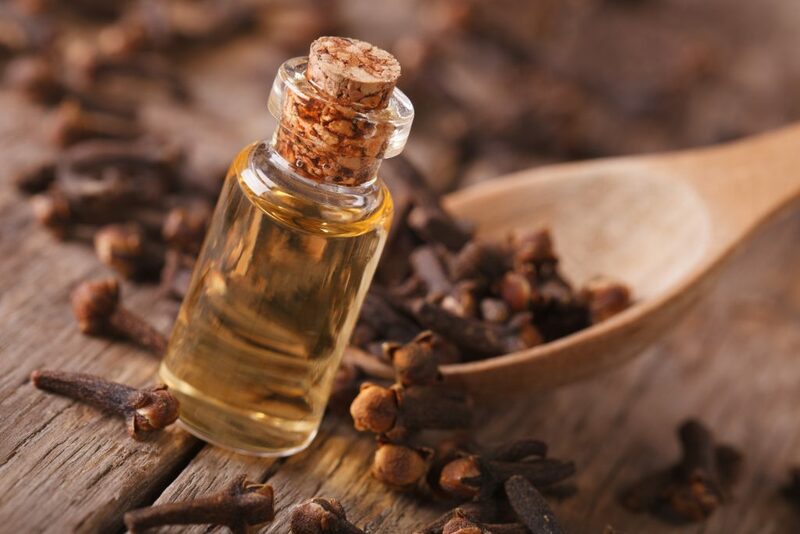 Clove for its content of eugenol and eugenyle acetate both of which exert anesthetic effects. A combination of eucalyptus and neem seed oil for its ability to relax skeletal muscles. Before we jump to the recipes, the thing to understand here is that muscle spasms may or may not be painful. Usually, the term is simply used to indicate the presence of back pain. In contrast, muscle cramps are pure agony, in every sense of the word. Nicknamed Charley Horse, cramps almost always target the major muscles in the body, but we will talk about them in a bit. 30 ml hydrosol (hibiscus, helichrysum or lavender. Of the three, hibiscus is the most highly recommended). Mix the oils in a small bowl and keep aside. Use a bottle with a spritzer head to store the spray. Pour in 30 ml of the hydrosol and then add the oil blend to it. Put the cap of the bottle back on and give it a good shake before spraying it on the affected area. If you don’t introduce water to the preparation, the spray will stay good for 1-2 months, even if it isn’t refrigerated. So, make sure that all the bowls, the bottle and the stirrer used for blending the oils are bone dry before you start. Do not forget to shake the bottle before each use. Spritz the sore area, 2-3 times with the spray and allow the fluid to dry on your skin. One application is typically enough to take care of an acute muscle spasm. But if the discomfort prevails for a few hours (even if the pain is not as intense as it first was), opt for 2-3 applications through the day. Mix the oils and store the blend in a dark glass bottle. Use on the muscle prone to spasms, once a day. If the contractions are more common at night than during the day, use it before bed time. If those muscle spasms are a day-time phenomenon and you work out in the morning, apply after the workout and shower. If you don’t invest AM hours in your exercise sessions, apply the blend around noon, when you are half way through the day’s work schedule, whether it involves running around or sitting non-stop at your desk. 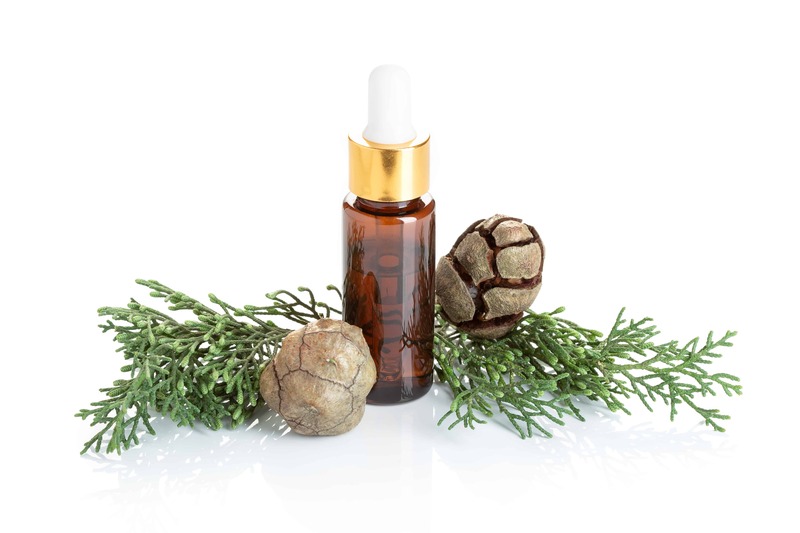 Blend the oil and store in a dark glass bottle, preferably one with a roller ball head. Apply as you do any pain balm or liniment on the area affected by muscle cramps. This blend is meant to treat muscle cramps and not prevent them, so keep it handy and only use it when you feel the familiar tightening and pain of a Charley horse. Both muscle spasms and muscle cramps are short lived phenomenon that usually resolve within a matter of minutes or at the most in a few hours. In contrast, muscle knots are like squatters that simply refuse to leave. Make no mistake, even when they are not actively causing pain, they are still there deep inside the muscle tissue, waiting to spring up and bring back the agony. In fact, often these little suckers can haunt you for years. Now, let me give you the bad news about these little monstrosities first – they are like pimples; you know how everybody gets them and from time to time you get that one Godzilla zit that is both very painful and embarrassing? Well, that is what trigger points are like. You may have already suffered from it and felt its intense bite and even the long standing effects of muscle stiffness, shortening and weakness. If you haven’t already, given how common the condition is, chances are that you will. Brace yourselves for some more bad news folks – Nobody knows what leads to the formation of these muscle knots. So, anybody can get them and from anything! Now for the good news; as stubborn as they are, these trigger points are surprisingly easy to resolve and often respond well to stimulation (both massage and essential oils). But, folks I don’t want to get your hopes needlessly high. Mix the oils and store in an amber/blue glass bottle. To use, pour a few drops of the blend on the palm of your hands and rub them together such that the blend also coats your fingers. Now, go ahead and rub the sore muscle, pressing small areas firmly to find the epicenter of the pain. The thing about muscle knots is that they are not very hard to find and will often feel like a slightly hardened area or at least as the most tender point of the muscle. Once you find it, press it firmly and while holding down the pressure, move your fingers/palms in circular motion. Stimulating a trigger point hurts like hell but boy does the pain feel good. So, on a 1-10 scale of pain, go for the midway point in terms of how much discomfort the direct application of pressure should cause. Massage the trigger point as explained above for 5-7 minutes and then massage around the trigger point, moving your palms and fingers all over the area that feels sore due to the reflected pain. Use outward strokes, starting at the trigger point and moving away from it. Alternate between kneading and pressure applied outward strokes. You can use the blend and the massage therapy only when the trigger points cause pain or you could use them as a maintenance treatment 2-3 times a week to keep the muscle knot from causing trouble. This blend also works for myofascial pain syndrome that involves the formation of multiple muscle knots. When your muscle pain isn’t restricted to one part of the body or covers a large muscle group, nothing helps as much as a long soak to relieve the pain and the stress caused by it. Here are two essential oil bath recipes that will help for muscle pain that starts with the day and hinders work as well as muscle soreness that rises after sunset and impedes sleep. Recipe 1: Essential oils to the rescue even if you can only afford a quick shower! Nobody has time for a leisurely soak in the morning. So, what do you do when back pain hits you as soon as you get out of bed and threatens take over your whole day? Personally, I turn to a tried and tested and multi-effective Ayurvedic technique called Abhyanga. Preparation and storage as above. Use as you would any other body oil/lotion but you will need to apply the oil about 30-60 minutes before shower. Spread an old bed sheet on the floor and sit with your legs extended in front of your body. The idea is to move your hands towards the areas of your body that you intend to massage. So, bend forward to get to the calf muscles and your feet, instead of folding your legs at the knees. Similarly, stretch your arm straight out and then use the opposite hand to rub the oil all over the stretched out arm. Use both hands to massage the back and the abdomen. Stand up straight and use both hands to massage the buttocks. Give yourself a good massage for 15 minutes, covering all body parts. Pay particular attention to the sore muscles. While you are stretching and giving those sore muscles a self-massage, make a conscious effort to breathe deeply and slowly, using your nose instead of your mouth to inhale. Then, put on some old clothes that you would not mind getting oil stains on. Let the oil work on your body for about half an hour and then shower using hot/warm water as you normally do. After a week of this routine, you will notice a distinct improvement in chronic muscle pain and muscular fatigue. Follow the routine every day or at least every alternate day or twice a week. Run yourself a hot bath and once the tub is half full, add the salts to the water. Mix the milk and the oils and add the blend to the tub once it’s almost full. Agitate the water to disperse the oils and then soak yourself in the healing goodness of the bath for 20 – 30 minutes. The combination of magnesium and other trace mineral from the salts and essential oils works on muscle soreness caused by fatigue, injury, sprains and other problems. Blend the oils and store in a dark glass bottle. Apply on the major muscle groups that you intend to work on about 15-20 minutes before workout. This will give the oils enough time to exert their anti-inflammatory action. So, you will essentially be initiating damage control before the muscle stress leads to fatigue and soreness. Preparation and storage as above. Use this blend a few hours after the workout. Once a day application will considerably tone down the intensity of muscle pain and fatigue even after a grueling exercise routine. If the pain is intense, decant 10 ml of the above blend in a smaller bottle and add 5 drops wintergreen oil to it. Use this as a pain-relieving roll on but only when the pain is intense. The best essential oils to use for general muscle discomfort are Wintergreen, Marjoram and Peppermint followed by Clove, White Fir, Vetiver, Sage, Silver Fir, Rosemary, Lemongrass, Ginger, Cypress, Birch, Basil and Balsam Fir. 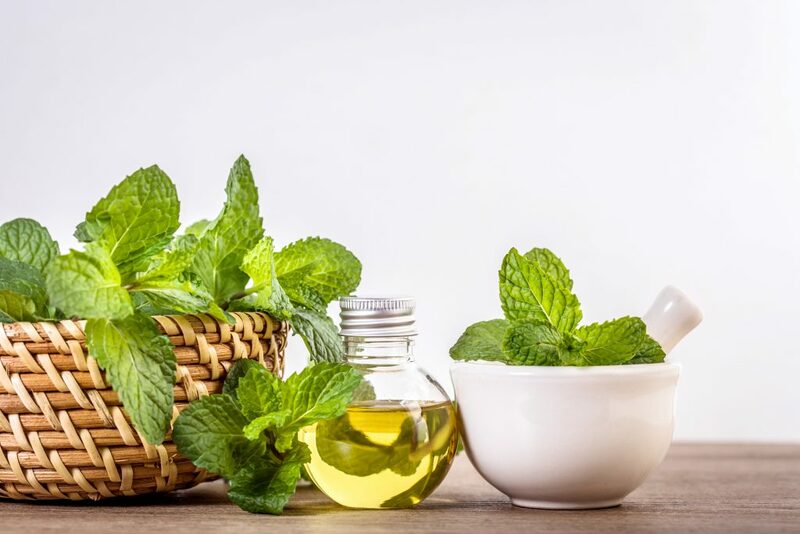 If you are experiencing muscle pain or connective tissue discomfort or have fibromyalgia, the following essential oils are most helpful: Peppermint, Oregano, Marjoram, Clove and Birch. Other than these essential oils, I have found Wintergreen, White Fir, Thyme, Rosemary, Chamomile, Lavender and Helichrysum to be very effective. Yes, your heart is a muscle. Marjoram and Lavender work best for the cardiac muscle, followed by Peppermint, Rosemary and Cinnamon. You can use these oils topically or in a diffuser. Birch, Marjoram and Wintergreen are best for cartilage injury. Lemongrass and Peppermint are also good options. To energize the muscles prior to a workout, use Rosemary. It warms the muscles and helps them stretch for optimal efficiency. The list of essential oils that I recommend for muscle fatigue includes Eucalyptus, White Fir, Peppermint, Marjoram and Cypress. In addition, you can opt for Thyme, Rosemary, Grapefruit. Stress in the ligament can be treated with Eucalyptus, Clove, White Fir, Marjoram and Lemongrass. 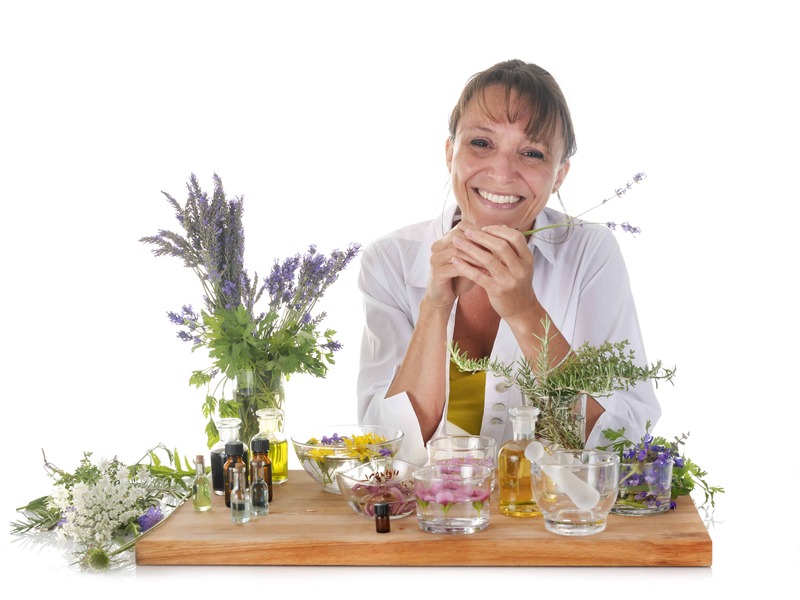 Other essential oils that might be helpful are Vetiver, Thyme, Rosemary, Lavender, Helichrysum and Ginger. Marjoram and Peppermint are the best essential oils you can use for swelling of the tendon. Whether caused due to physical stress or emotional anxiety, Marjoram, Clove and Dill are your best choices for muscle stress. Helichrysum, Lavender, Peppermint, Ginger, Sweet Basil, and German Chamomile are also effective. Often prompted by pressure or lack of blood circulation, leg and foot cramps can often be prevented by remaining hydrated. Eucalyptus, Rosemary, Nutmeg and Nutmeg are the best oils for muscle cramp relief, followed by Camphor, Yarrow, Helichrysum and Sweet Basil. 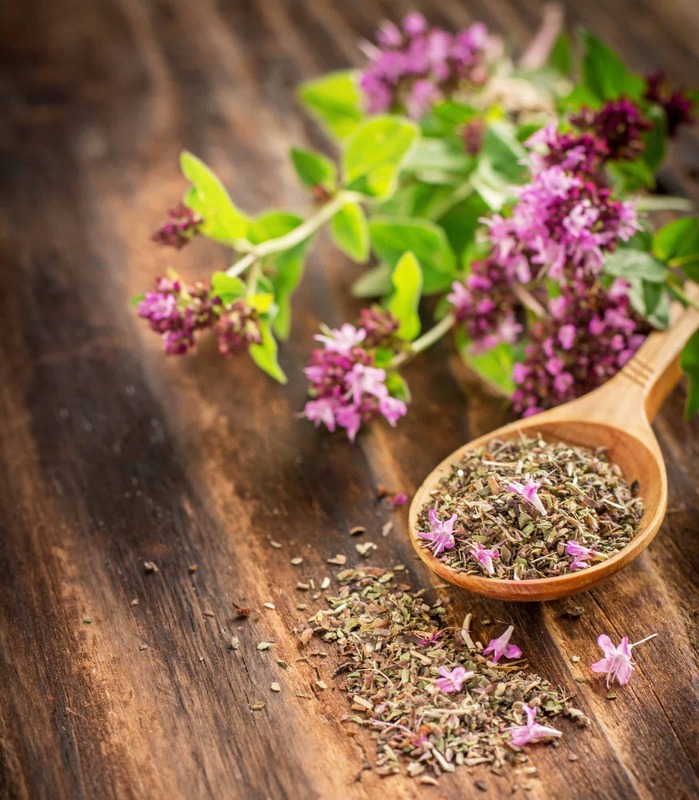 While spasms are not usually agonizing, they can be eased with the use of Basil, Chamomile, Marjoram, Peppermint, Lavender, Cypress and Clary Sage. For a muscle pull, blend 3 drops of Roman Chamomile and 2 drops of Sweet Marjoram together. Apply this blend via cold compress. 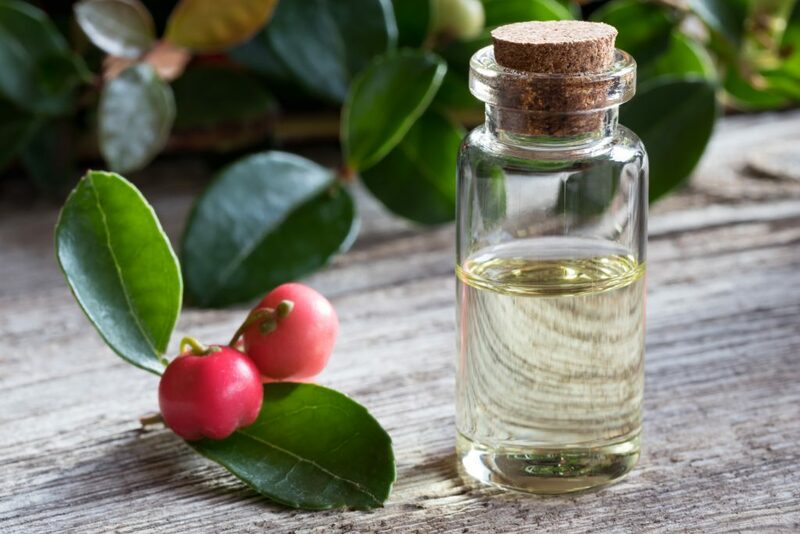 For muscular pain, combine 2 drops of Wintergreen with 3 drops of Camphor. Apply this blend using cold compress. For swelling in the muscles, use a cold compress of 3 drops of Peppermint and 3 drops of Yarrow. To release a muscle spasm, mix 4 drops of Ginger, 2 drops of Cypress and 3 drops of Sweet Marjoram in 2 tsp carrier oil of your choice, such as Sweet Almond oil. Apply this blend topically twice per day. To soothe tender muscles, blend 5 drops of Lemongrass, 3 drops of Peppermint, and 4 drops of Cypress with 3 tsp carrier oil of your choice. Apply this blend topically three times a day. To relax tight muscles, blend 4 drops of Helichrysum, 5 drops of Basil and 2 drops of Chamomile with 3 tsp carrier oil. Use this blend topically twice a day. In order to ease rheumatic pain, blend 3 drops of Cypress, 2 drops of Clary Sage, and 3 drops of Eucalyptus in 3 teaspoons carrier oil. Apply this blend over the impacted areas up to three times a day. In order to enhance flow of blood to the cramping muscles of the leg combine 5 drops of Ginger, 4 drops of Black Pepper, and 3 drops of Clove in 4 teaspoons carrier oil. Use this blend over affected areas. If you are pushing yourself too hard at your favorite sport or in the gym, muscle tears are bound to come calling. Use, this poultice to heal the internal wounds that can turn problematic. You will need comfrey root powder, ginger root powder, bentonite clay and dried calendula. Mix the herbs and the clay and store in a jar. Make a paste with some water and apply on the affected part in a thick layer. Wrap a layer of gauze soaked in warm water (wring till just damp) around the treated area. Cover with cling film if possible and needed and then place a heating pad on it. Omega 3 fatty acids, curcumin, resveratrol, vitamin E and C and magnesium supplements can all help to keep muscle soreness away. An infusion of chamomile and passion flower, herbs like kava kava and Indian valerian also help with painful muscles. If a painful calf spasm is making things hard for you, fill a bucket/pale, which is large enough to soak your leg up to the knee in it, with hot water (not boiling hot). Add a tablespoon of ginger powder to it along with ½ cup of baking salt and ½ cup sea salt. Soak your leg in the water till it cools. For overall muscle soreness, add a cup of apple cider vinegar to a warm bath and soak in its healing goodness for about 15 minutes. Arnica gel is easily available in stores that sell natural products and holistic health care formulations. Add 3-4 drops of calendula tincture or extract (not essential oil) to a teaspoon of the gel and spread all over the sore area of the body. Leave it on overnight for relief from swelling, inflammation, redness and pain. One of the best ways to reduce the harmful effects of muscle fatigue and contraction is to wash out the metabolic waste that collects around the tissue. Plus, the right amount of hydration helps to keep the blood flowing easily, which means your muscles get more nutrition and oxygen. So, keep yourself hydrated with good ol’ H2O during and after workout. Like your mind, your muscles too will respond well to a few hours of rest. So, if your muscles hurt, give them a break for a day or two. Of course, don’t keep away from your workout regimen for too long. When the pain is too much to bear and you don’t have anything around to get a grip on it, ½ tsp of cayenne pepper flakes can come to your rescue. Heat 2 tbsp of olive oil or any other oil that you have in the pantry. Add the pepper flakes to the oil and sauté for about 2-3 minutes. Don’t burn the flakes; you just want the heat to draw out the capsaicin from the pepper. Take the treated oil off the heat and allow it to cool to room temperature. Use a tiny amount of the oil on the sore muscle. If you have very sensitive skin, add a tablespoon of carrier oil to the treated oil to dilute it. Yes, the pain can make it hard to fall asleep. Use aromatherapy, warm milk or soothing music or just about anything that works for you, but do get your sleep when those muscles are sore. Not sleeping will raise cortisol levels and increase inflammation, and you don’t want that. The last thing you want to do is add stress to the soreness of your muscles. Together, these two can turn into a vicious cycle. Yoga works on painful muscles as well as on a distraught mind. So, turn to gentle stretches and the resting form of shavasana for muscle pain relief. Smoking, sugar laden food, too much alcohol can add to the toxin levels in those muscle cells. So, go vice-free at least till your muscles are healing. Fresh fruits, herbs, veggies and lean protein will give your muscles all the nutrients they need to heal and become stronger. Remember starved tissue will recuperate slowly and may not regain its strength. Junk food, unhealthy fats, too much salt, sugar and artificial flavors and preservatives can add to the inflammation levels in your body. If you often suffer from muscle soreness after workout, you may not be warming up enough. A good warm up session that includes dynamic stretching can help to reduce the intensity of delayed onset muscle soreness. For centuries, essential oils have been recognized for their therapeutic properties. Ancient cultures exercised the art of making essential oils for relieving muscle pain by first soaking the leaves, branches, bark and flowers of plants in oil for a period of time and then using linen to cleanse, separate and filter the oils in a concentrated form. In today’s world, most of us prefer to use over the counter or prescription medication instead of looking for healthier alternatives. 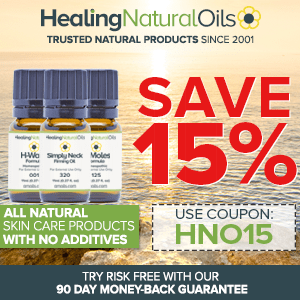 Rightly formulated, high quality essential oils can provide pain relieving benefits similar to pharmaceuticals but without any of the nasty side effects. So, next time you are in pain and need relief, reach out for the healing powers of essential oils. Excellent article. I’ve been a masseur/sports therapist for almost 40 years and you have added to my knowledge with this description of essential oils and their various qualities and applications. THank you. Thanks for another in-depth article with lots of education (even if I do not always completely understand all the chemistry involved, LOL). Chronic pain is so scary and I was happy to read that oils can help not letting it come to that. I have spondylolisthesis, SI joints that do not stay in place and chronic plantar fasciitis with muscle imbalances so I utilize essential oils to keep my pain in check. I will definitely add some of your blends with German Chamomile ! You’re welcome. I try to make it as easy as possible for my audience, although it is not always easy as some terms can be technical at times. I will have a post on plantar fasciitis in the coming months. Thanks for sharing and stay tuned. I first started using EO for muscles after reading this page, but recently I found out about using Sandalwood oil for muscle pain from another page and it’s been the oil i’ve always hoped for! Not only do I love the smell but the relief on my muscles is everything i’ve been needing. You should totally add it to this list, everyone should know that it can also help them! I’m looking for a recipe for tight muscles that I thought i saw on your great site … but now I can’t find it. It has worked wonders and I have forgotten the oils to make more. this is great the way you have organized all this information. it’s easy to look up! great reference guide. thanks so much. Thank you for the feedback. I will publish more of those in the pain relief series over the coming weeks and months. Thank you for the easy to understand a detailed article. You are so welcome. Take care. This is information is fabulous. I love essential oils for so many reasons. Thank you for the valuable information on these EO’s and what they can do plus the blends and amounts. Very anxious to start using them! Thank you for sharing your experience of essential oils and you are most welcome. I simply cannot unlove essential oils either. They are simply the best natural remedy that I know of.